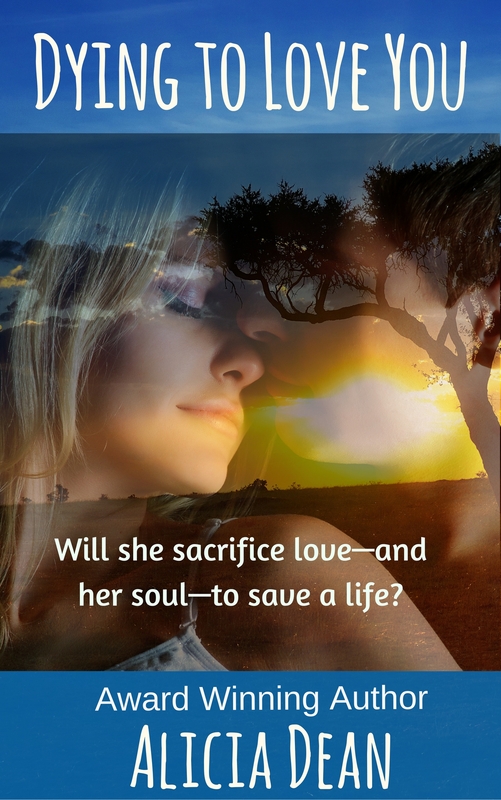 ← New Release Spotlight – Sandra Dailey “Close Enemy” from The Wild Rose Press – PLUS a Giveaway! 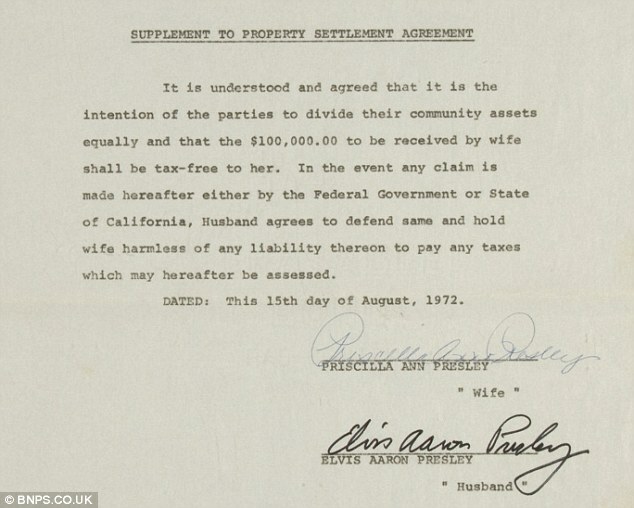 When I was a kid and found out Priscilla was divorcing Elvis, I hated her and thought she must be out of her mind. 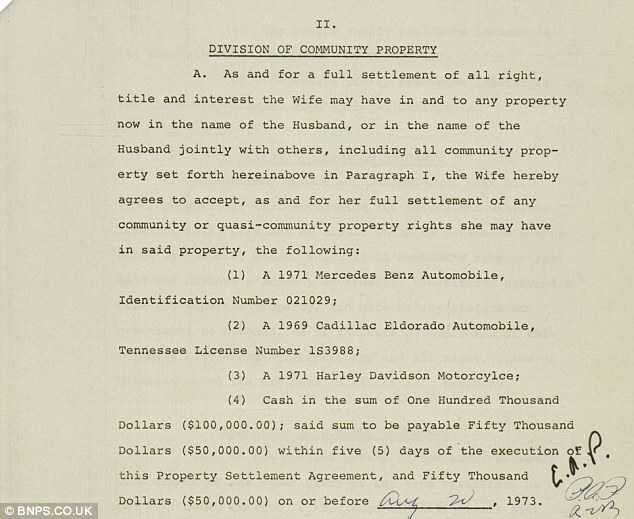 (As an adult, I realize, being married to Elvis can’t have been easy, but honestly, I still think she was out of her mind. 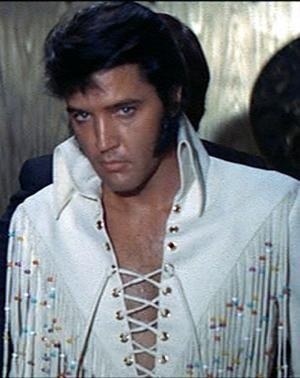 I can’t imagine much I wouldn’t have tolerated to remain Mrs. Elvis Presley…) Anyway, I once watched an Elvis tribute Priscilla hosted and she spoke about the day she asked for a divorce. Elvis said, “Is there someone else?” It always strikes me when I hear about these ‘normal’ conversations involving Elvis and think of him as an actual man, a husband, whose wife was leaving him. It doesn’t really fit with his almost otherworldly presence and image in my mind. 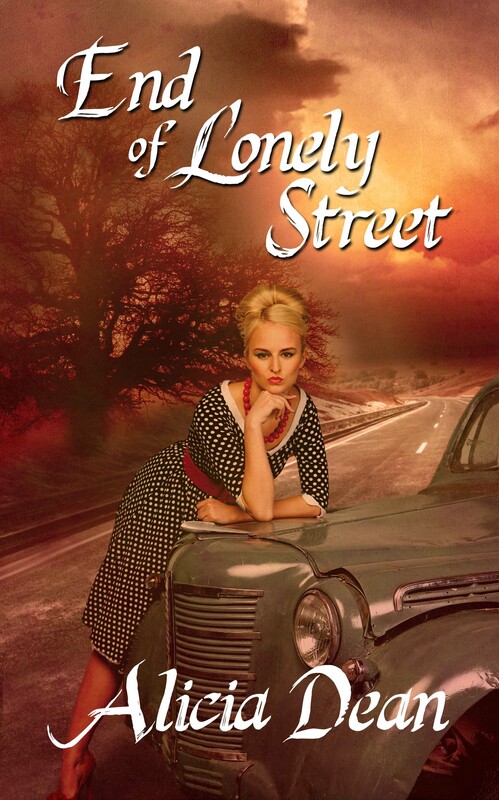 Priscilla told him there wasn’t, she just couldn’t continue living like she had been. In truth, there was someone else. Priscilla had started an affair with Elvis’ karate instructor, Mike Stone. Although, I doubt that’s the actual reason Priscilla was leaving him. She just couldn’t handle the life, and she said she felt she was losing herself. It was also difficult being married to someone who belonged to the entire world. Their divorce was especially tough on Elvis since Priscilla was taking Lisa to live nearly two-thousand miles away. He was used to having his daughter at the house all the time. According to Elvis’ long-time friend, Jerry Schilling’s, account of the day Priscilla and Lisa left, Elvis kissed Priscilla gently on the mouth and told her to let him know if she ever needed anything. Then, he really broke down when it was time to say goodbye to Lisa. He held her tightly and told her to have her mommy teach her to use the phone so she could call him every day. 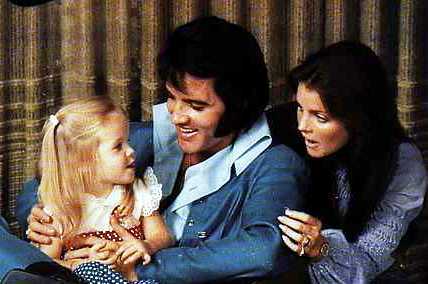 Lisa peered into his eyes and said, “Daddy, are you crying?” Elvis really lost it then. He closed himself up in his bedroom after they drove away and for hours he remained there. Jerry and the others could hear him through the door, sometimes cursing, but mostly sobbing. 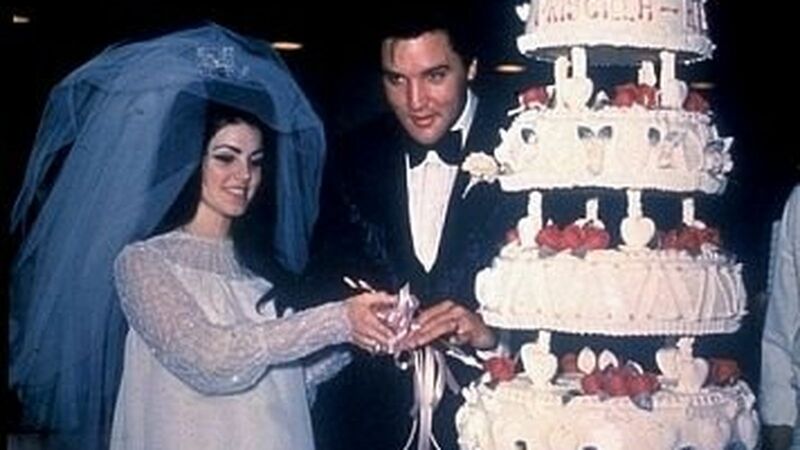 Elvis passed away only five years after he and Priscilla split. 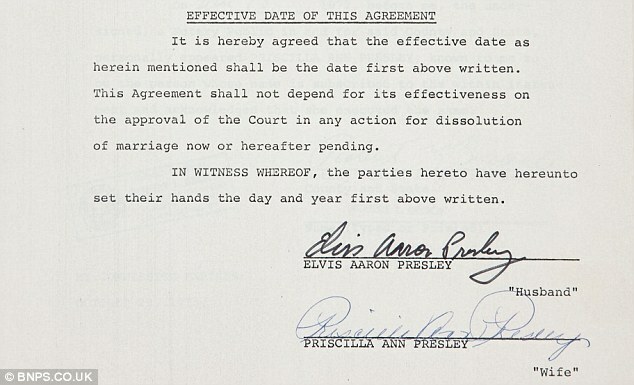 During that five years, Priscilla and Elvis remained very close. Lisa spent half her time with Priscilla and half her time with Elvis. She was at Graceland the night he died. Ha! I would imagine they’re delicious. Wow. She’s the only woman in the world, ever, who can say she was chosen by Elvis to be his bride, the only woman he shared his name with, a child with. No matter how it turned out, that’s something pretty special. 1955 – Elvis performed at the Louisiana Hayride in Shreveport, LA where “Colonel” Tom Parker was in attendance and saw Elvis for the first time. Hope you enjoyed today’s post. Have a wonderful weekend! I just bought a new car in December & it has XM radio free for 3 months. Of course I’v had it cemented to ch. 19, Elvis. You wrenched my heart with your story of their divorce. He was always different after that. I know he loved both of them. It had to feel like losing his mother all over again. I’ve heard some totally awesome stories on the radio, but I love your stories. They make Elvis et al come to life! So hard to believe he’s been gone almost as long as he lived. Thanks Alice for all the cool insight. As always a great post…I guess Priscilla wasn’t alone in not being able to “live the life” maybe being under the microscope also derailed the marriage of Princess Diana and Prince Charles. At least Priscilla got to be with a man who seemed to live life to the fullest however difficult it might have been. So true. That can’t be an easy life for anyone. But, it’s obvious no man could truly replace him in Priscilla’s life. Their breakup made me so sad. I remember watching that tribute show and thinking how difficult her life must have been. She was a kid when he set his sights on her, and to be thrust into that world at that age…I can’t imagine. The song that gets to me us Suspicious Minds. Great post, as always! Very interesting. Thinking about Elvis and the lost potential always makes me sad. Yes, me too. 😦 Thanks for stopping by! More good stuff on Elvis. You can really dish it out! I’d think being married to any famous musician would be a life of hell–but, like you, I’d have made an exception for dear Elvis! Wow! What a wonderful post, Alicia. So sad reading about his divorce and loss of his sweet Lisa Marie. Elvis is my hero too! Oh, wow, very cool! 🙂 Always nice to meet a fellow Elvis fan!